When redesigning a future-oriented hospital organization, anesthetists need to take on a key role. The relationship of workload, performance, patient safety, and hospital mortality need to be investigated with different indicators and models. Current data and research reviews suggest a strong negative impact of high workload of hospital staff on patient safety and mortality. Scarce resources, limited budgets and growing demands due to ageing populations are challenging hospitals. In order to ensure on-going performance increases and patient safety a sufficient growth of staff capacity, competences and a balanced workload has to be guaranteed, as well. Anesthetists are not only physicians but also medical managers who maintain most of the relevant medical data and organize many of the relevant medical staff resources. Therefore, anesthetists play a pivotal role in defining criteria, decision models, and collecting the data needed to balance capacity, competence, and workload of the medical staff with the growing demands and performance increases in hospital health services. Many hospitals in industrialized countries are suffering from increasing shortages of personnel due to decreasing numbers of young doctors and shorter employment lengths on the one hand combined with pressure to increase performance and specialization on the other. These factors exist due to demographic changes: The increasing amount of treatable and chronic illnesses increase the morbidity burden, which leads to increasing treatment demands and an expansion of medical hospital services. However at the same time, the financial and personnel resources for a further expansion of medical services are becoming increasingly scarce, so that the pressure to offer medical care more efficiently and economically increases. Paradoxically, despite the total number of doctors increasing in recent years, there will be a shortage of well-trained doctors in almost all OECD countries in the years to come. The Association of American Medical Colleges predicts, for example, that the United States of America will need 26% more physicians over the period 2006 to 2025. However, the calculated supply of physicians will increase by only 10 to 12%. The EU Commission estimates a shortage of one million health professionals by 2020, if action is not taken. A lack of health professionals will result in 15% of care services not being delivered due to lack of resources. 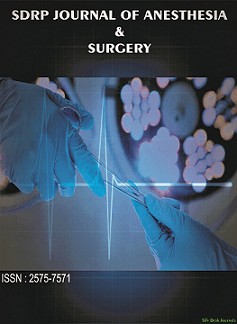 Up to now, management data and methods do not sufficiently support anesthetists in their new role as medical managers: Static benchmark data collected at fixed reference dates do not sufficiently reflect the nexus between capacity and competence, and do not reflect the dynamic changes in a hospital’s requirements for expertise and specialization. Staff turnover leads to a loss of experience, which jeopardizes patient safety and hampers medical specialisation. In consequence of the dramatic shortage of medical specialists, drop-off rates must be reduced and retention rates must be increased. To that end, working conditions need to be fundamentally converted for a multi-generation, multi-cultural and increasingly female workforce.